Kalbarri Tudor Holiday Park is centrally located just 3 minutes walk from the town’s best restaurants, taverns and shopping area. The Murchison River Mouth features a safe swimming spot that is perfect to counter the summer heat. A dirt track along the river north of town is perfect for exploration if you have a 4WD. Enjoy beautiful views of the coast from both the beaches and the stunning Kalbari cliffs. The Park is just a five minute walk to the beach or river for swimming, fishing and snorkeling. 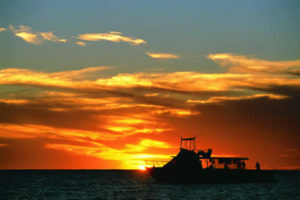 Kalbarri is the perfect holiday destination for families, couples, individuals or backpackers and is ideal for all ages. With highly consistent sightings, a Humpback Whale Tour is a unique experience, not to be missed. With seasonal (June/mid November) visits you may see the whales feed their calves and rest for their journey back to Antarctica. As Kalbarri is rated as one of WA’s premier fishing spots, it only makes sense to hop on board a Fishing Charter. Whether its already a hobby, or something you want to try for the first time, these Charters provide all you need to have the best fishing experience possible. Depending on the season the Fishing Charters will target Pink Snapper, Dhufish, Coral Trout, Red Emperor, Bald Chin Groper, Spanish Mackerel, Yellowfin Tuna and Sharks. The Sanctuary is situated off of Red Bluff Road, the breeding home of a beautifully coloured Rainbow Jungle Parrot. This Sanctuary is open 7 days of the week with costs for the whole family shown on their site here. The Rainbow Jungle is also home to a modern outdoor cinema well appointed with a Snack Bar, Pizzas and Fully Licensed Bar. Experience the thrill of riding along white sandy beaches, bush tracks and hills to secluded bays! Easy to ride and no experience required. The tour will collect you from your accommodation in Kalbarri with their provided bus & take you to Wagoe Farm where they will instruct you through safety and riding. 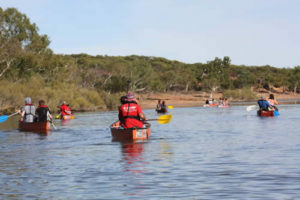 Enjoy one of Kalbarri’s award winning scenic tours, with travel made comfortable from air-conditioned coaches in use throughout the adventure. You will canoe, as well as hike to the otherwise inaccessible area of the amazing Gorge. Operating since 1981, you don’t want to miss what these experienced local guides have to show you. Here in WA, we have the largest variety of wildflowers in the world! 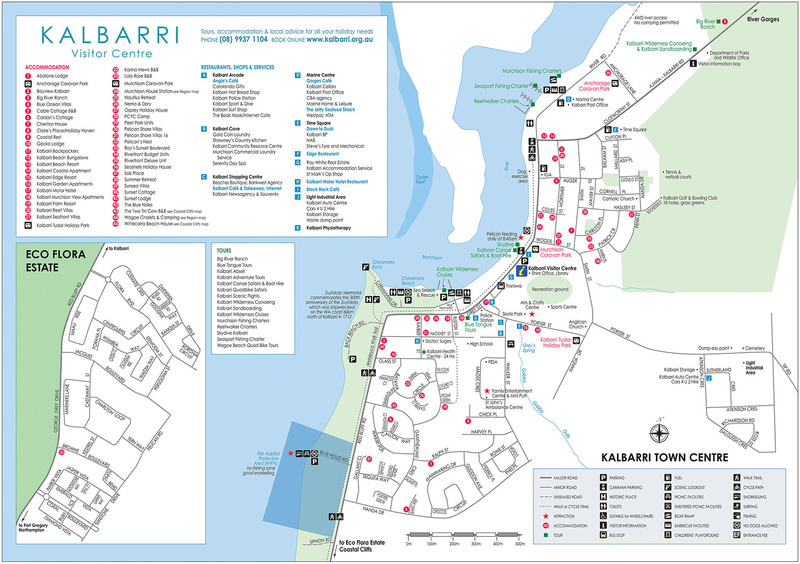 Make sure to stop in at the Kalbarri Visitor Centre for the latest wildflower information. They have extensive local knowledge and receive constant updates from local guides, making us the best place to find all the flower gossip including what species and where. Starting with just a 4meter wall to get you comfortable, you will be taken through the historic Z Bend Gorge in Kalbarri National Park. You will be picked up from your accommodation in the morning and hike, sight-see, explore and even swim during your Abseiling adventure. Spend your holidays in the sky with a range of Scenic Flights available to take you for one of your most memorable flight seeing experiences ever. A popular option is to visit Hutt Lagoon Pink Lake at Port Gregory with its stunning pink hues. Finlays Kalbarri is the first of the town’s microbreweries to date, specialising from the front in local seafood. Upstairs Restaurant is a new high end restaurant bringing extensive fine dining experience to the areas lunch-dinner options. This team prides themselves on not charging remote tourism prices while still providing amazing service. For something fun and family-friendly, you can even order Kalbarri Pizza & Pasta 555 online, as well as opt for a delivery service. The family-owned homemade Pizza & Pasta business has been running for over ten years. During the day, the Kalbarri Bakery (among other cafes) is open and is famous for breads and sweets. Offers body treatments, facials, waxing, tinting, manicures, pedicures, hairdressing and massage. Call/text 0499 010 891 for an appointment. Download our Holiday Park Map.